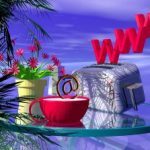 As you may know, at Kigo we like to share on our blog our client's vacation rental websites to help shape an understanding of the importance of branding. A well structured website will not only boost credibility but bookings too, which is especially important during low season. A great example we would like to turn your attention to this week is Portuguese Living who use their website to share beautiful Holidays Apartments in Portugal. Portuguese Living's intimate selection of handpicked apartments and villas promise to deliver guests the highest of customer service. Let's take a look at their website and see if it follows suit! As the user lands on the Portuguese Living homepage, they are greeted with a lovely selection of images that capture Portugal perfectly. These photos and the neatly placed search availability tool next to them, will work to entice the potential booker to delve in deeper to their website. 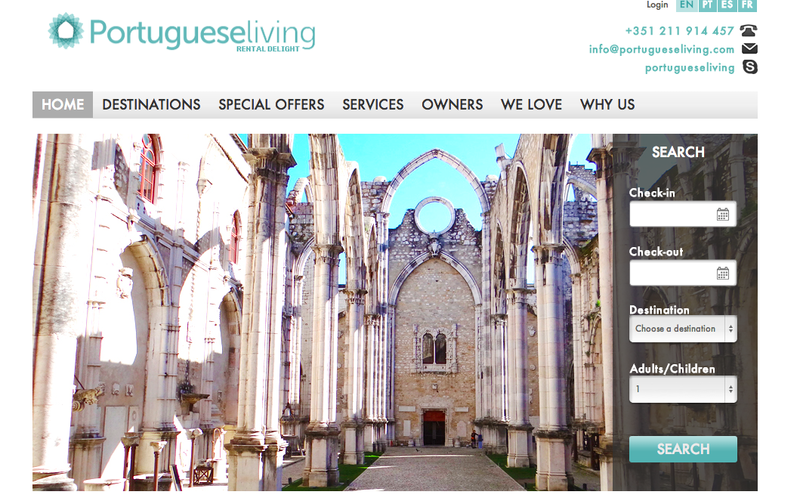 This is one of the main aims of a homepage and Portuguese Living have adhered to this excellently. Everything the potential guests needs to know before making a booking enquiry sits nicely on the navigation bar at the top. Portuguese Living have evidently taken great care in providing as much information as possible e.g. the 'We Love' page provides great recommendations on where to go whilst in Portugal. 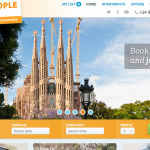 This leads the user to no confusion about the company and its destinations and will work to increase bookings. 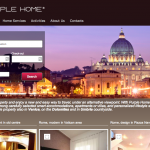 Also, the colour scheme is fresh and professional throughout which creates a positive user experience. This is important as ugly or rich colours will deter viewers and cause potential guests to look elsewhere. The property listing pages are defined by location which is excellent for SEO purposes; the more pages a vacation rental manager has on their website, the more chances for keywords being found in a web search. 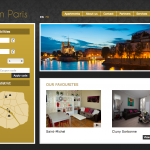 On each destination page, the looker can then define their stay by a number of options which run along the side of the page. This handy tool will help the guest to find their desired stay whilst speeding up the booking process. Once the guest has chosen their desired property, they can then check to see if it is available for their dates and are given a summary of the cost of stay. From there, the enquire button leads the user to a simple and painless booking enquiry form. Making it as easy as possible for the potential guest like Portuguese Living have, will further increase booking chances whilst delivering a positive experience. 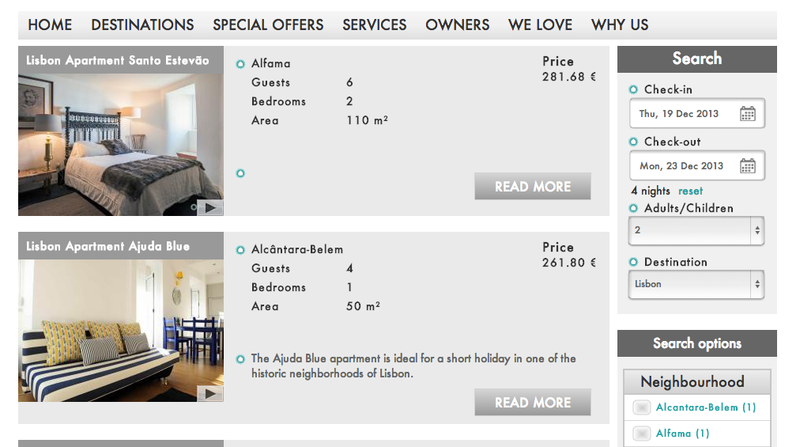 Our favourite part of the Portuguese Living website is the 'Special Offers' page. 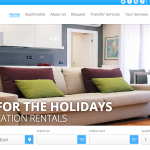 Every vacationer wants to feel like they are getting a good deal so this page is an excellent addition to their vacation rental website. Not only can they push to fill availability calendars with last minute bookings but they will be pleasing guests on the other end too. If you're looking for a Vacation Rental in Portugal or would like to network with Portuguese Living, be sure to take a look at their website.